This small yet powerful feature gives you instant access to any site’s internal search box by adding a custom search engine in Vivaldi. Not only does this improve your workflow, but can protect you from a massive time loss. Quick as a Click! Simply right-click in a search ﬁeld on any web page and choose ‘Add as search engine’ from the context menu. Then, type in the keyword you want to use and select ‘Add’ to save it. 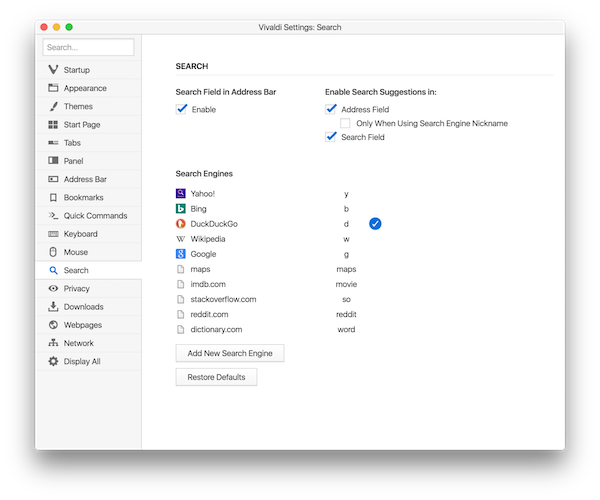 You can add engines as well as edit, modify and manage all of your search settings. To do this, add them through preferences in Vivaldi Settings -> Search. Here, you can modify and organize to your own preferences. 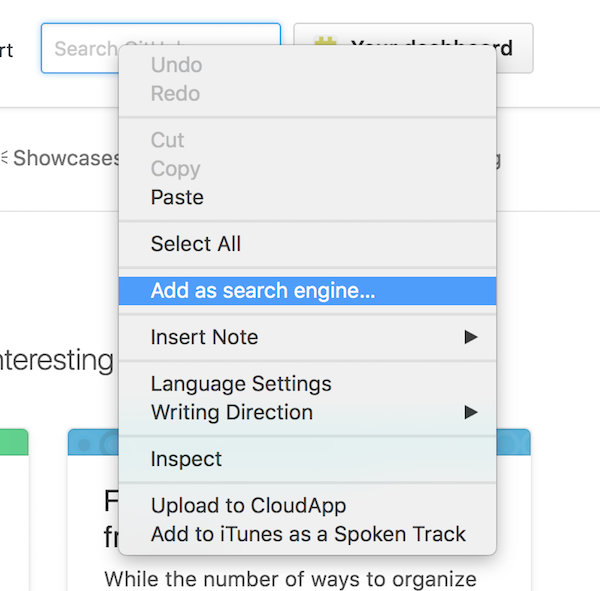 With a little bit of magic, you can now start searching with your new custom search engine. Use the URLs below to add search engines from a few of our favourite sites. Do you feel a need to look up the IMDB page for every movie you watch? You are not alone! With this URL you can search on IMDB, which pretty much lists just about every movie and tv-show out there. This one is neat. Add one of these URLs to get immediate directions to wherever you’re going. Did someone just say a complicated word that you don’t know the meaning of? Quickly look it up on a dictionary and pretend you already know it! Over to you! What custom search engines do you think would be interesting to keep just a click away? Let us know in the comments below.